If Stifled seemed familiar, well it is because its Spiritual Predecessor, Lurking has been played by some of your favorite let's players! We won a bunch of awards for being weird and different. 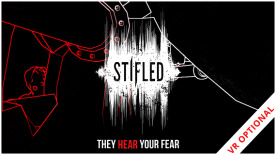 Check out http://www.stifledgame.com to check them out!